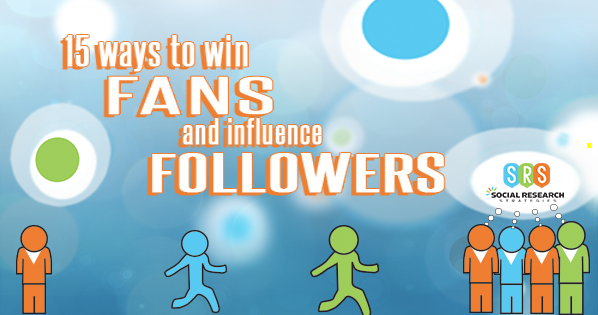 “How to Win Friends and Influence People” is one of the most popular self-improvement books ever written; in response, I present to you 15 ways to Win Fans and Influence Followers. Through the teachings of Dale Carnegie, I will explain how businesses can harness the power of social media to improve their social media marketing strategy. Each tip is directly borrowed from his book, followed by a summary of his advice, then applied to social media marketing. Criticism is futile because it puts a person on the defensive and usually leads to that person justifying his/her actions. It damages a person’s pride, hurts his/her sense of importance, and provokes resentment. Instead of condemning people, try to determine why they are how they are. This goes hand in hand with the basic social media principal of avoiding negativity (i.e., criticize, condemn, or complain). The moment you’re negative is the moment you start to lose followers. Never use social media to hurt the pride of your customers or clients. The deepest craving in human nature is the craving to be appreciated. The most effective way to develop the best that is in a person is through appreciation and encouragement. Beware however, as there is a significant difference between sincere appreciation and empty flattery. Let others know you appreciate them by being specific with your appreciation. Think about things from other people’s perspective. Put the other person’s wants before your own. Convince this person of how something can benefit them, arousing in the other person an eager desire. Your social media should create a desire for your product or service among your fans. If you fail to foster this desire, you are failing to utilize social media to its full potential. You can make more friends in two months by becoming genuinely interested in other people than you can in two years trying to get people interested in you. We like people that admire us. Greet people with animation and enthusiasm. Say ‘hello’ to people in a way that shows you are pleased to talk with them, and ‘goodbye’ in a way that shows they will be missed. Take interest in your followers and they will take interest in you. Create content that celebrates your fans, and reply to comments that show you are excited to talk to them. Use twitter to find people having conversations about your business’s area of interest, and join their conversation. Actions speak louder than words. A smile says “I like you, you make me happy, and I am glad to see you.” Make sure that you actually smile however; do not simply give an insincere grin. Insincere grins are mechanical and resented. Give real, heartwarming smiles that uplift the room. Smile even when on the phone. Your smile will come through the phone through your voice. Smiling suggests that are having a good time. You must have a good time meeting people if you expect them to feel the same when meeting you. This means that it is ok to use emoticons and emojis when communicating with fans and followers. Perhaps it is not appropriate to “smile” with certain messages, but it is usually okay when using social media to engage one-on-one. People value their name, or even whatever nickname it is that they go by. Remember people’s names. Make an effort to remember names on the first try. And avoid ever spell the person’s name wrong if you can. This means that when you respond to someone on social media, use their name when possible. On Facebook it is obvious, on Twitter try to guess it. Even if you are wrong, you will get their nickname or close to it. If you want to be a good conversationalist, be an attentive listener. To be interesting, be interested. Ask questions that people will enjoy answering. Encourage them to talk about themselves and their accomplishments. It used to be that you could ask just about any question on social media and get a response. That is no longer the case. Instead, you must ask interesting questions. It takes creativity to come up with the perfect question, so do not rush it. Once you get them talking, keep them going by engaging them about their interests. The royal road to a person’s heart is to talk about things he or she treasures most. Try and focus on what that person is interested in and talk about it. Franklin Roosevelt, before having a visitor in his office, used to study topics he knew his guest would be interested in discussing before they came over. This means that you must find out what your fans are interested in and discuss it. Now, you can’t post content that is irrelevant to your brand, but you can certainly get involved in conversations that aren’t necessarily “on topic”. Using your social media to talk about the interest of your fans will keep them engaged, in turn creating passion for your brand. Avoid arguments like you would rattlesnakes or tornados. Most of the time, they’ll just make someone feel embarrassed, uncomfortable, or hurt their pride, making them feel inferior to you. This means that if someone mentions your competition, it is okay to compliment it. For example, a pizza place doesn’t have to condemn every other pizza place in their area. In fact, your credibility will increase if you sincerely praise your competitors. The goal shouldn’t be to have potential clients only eat your pizza instead (likely impossible), but to eat your pizza as well. Stay humble by pointing out things about yourself you know the other person wants to say or intends to say. This increases the chances that they will then forgive you and minimize your mistakes. It takes the guilt and defensiveness out of the air, but also helps solve the problem created by the error. People make mistakes. Businesses make mistakes. The worst thing you can do is avoid owning up to your mistakes. So when your business inevitably makes a mistake, address it, fix it, and move forward. Ignoring the mistake only makes it worse. In talking with people, don’t start by discussing things of which you differ in. Instead, talk about, and emphasize on, the things you have in common. Keep emphasizing, if possible, that you are both striving towards the same end and that your only difference is one of method and not of purpose. Try to keep the other person saying “yes, yes” instead of “no”. Once in the “no” state, a person will try to remain consistent with that statement in order to keep up their pride. The skillful social media marketer will first get a lot of “yes” responses. This sets the psychological process of the listeners moving in the affirmative direction. Ask questions that potential clients are forced to agree with. Keep on winning one admission after another until you have an armful of yeses to build upon. This happens over time, and takes post after post to collect the necessary “yeses” required, so do not rush it. A great way to do this in social media is to ask for fan feedback. Perhaps you are designing branded t-shirts, and have a handful of new designs. You already know that you are making 4 different styles, but inform your fans that you are in the designing phase, and want to know which designs they are most likely to buy. When you release them, you will already have a committed audience. Most people have two reasons for doing anything: one that sounds good, and then their real reason. The person may know the real reason, but you don’t need to emphasize that. Instead, try appealing to a more noble cause. Show them good motives behind agreeing to what your trying to convince them. This means your social media marketing strategy should involve a cause of some sort. Find something that you are passionate about, and give your fans and followers a reason to support you. These causes do not have to be grandiose either. It can be as simple as cultivating a passion for supporting local businesses. The truth has to be vivid, interesting, dramatic; you have to use showmanship. Do this if you want attention. This does not mean lying, but saying something that dramatizes the importance of something that you’re talking about or trying to convey. This should be the case for every post. Incite desire in your audience by utilizing a flare for the dramatic. Which blog post are you more likely to click on “Summer Wedding Advice for the Bride-to-be” or “7 Wedding Tips that Every Summer Bride Must Know Before the Big Day”? If you want to improve a person in a certain aspect, act as though that particular trait were already one of his or her outstanding characteristics. People behave in a way that is consistent with expectations and past behavior. If someone thinks that they are already capable of something, they are more likely to accomplish it. Let your fans know how valuable they are. They are the most effective part of your online marketing. Word-of-mouth will do more good for your business than all other marketing combined. Give your audience the reputation of one that loves your product, and proudly endorses it.